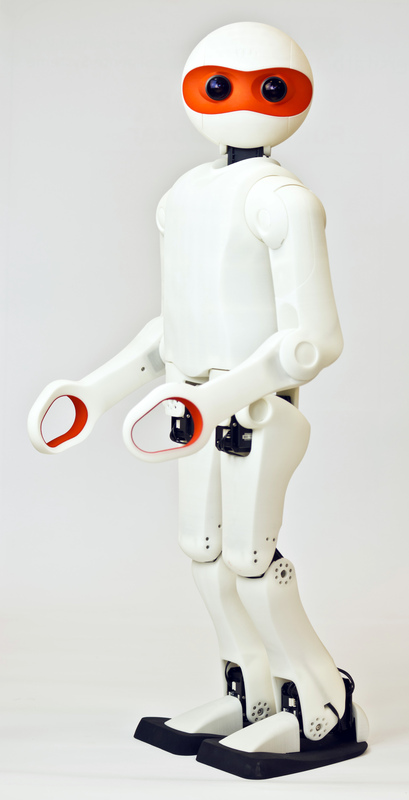 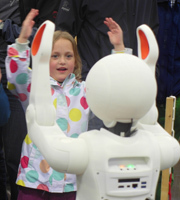 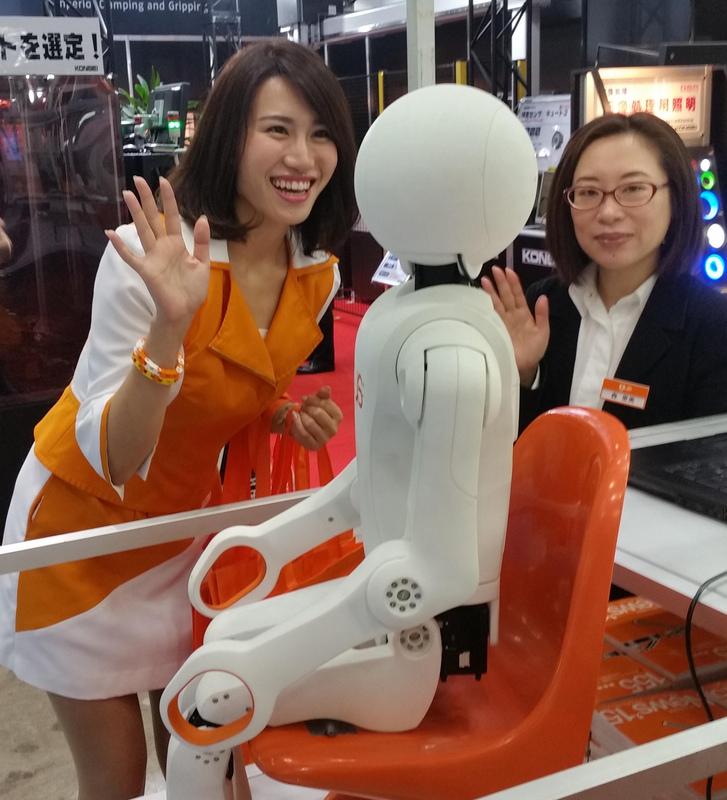 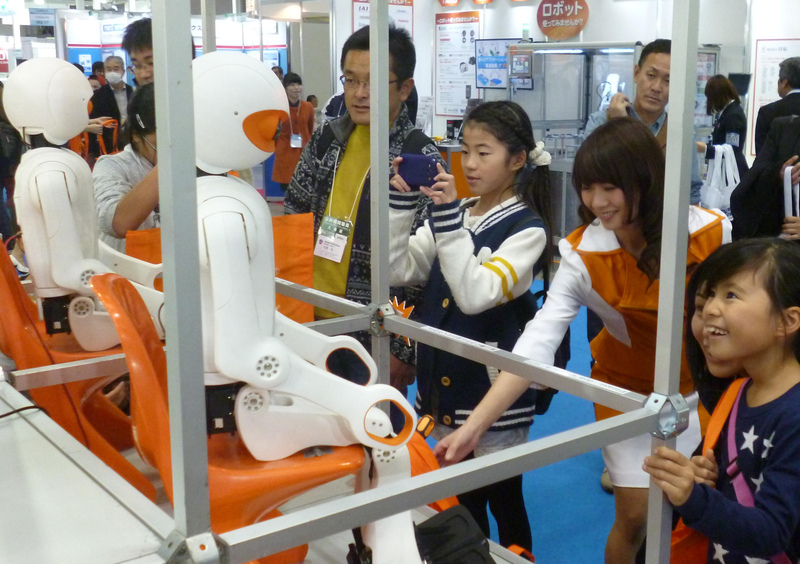 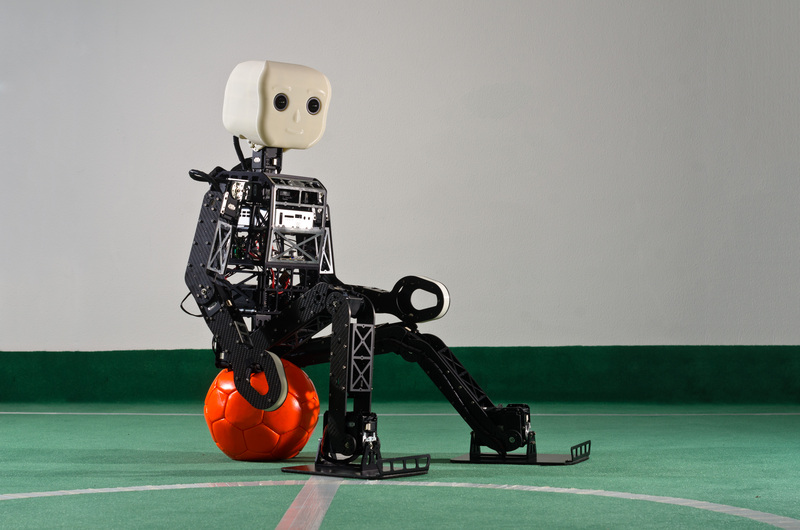 Modular, open-source humanoid robot for research and education. 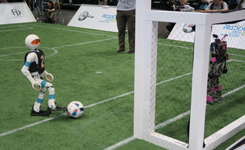 In the AdultSize class, for the first time 1 vs. 1 soccer games were played. 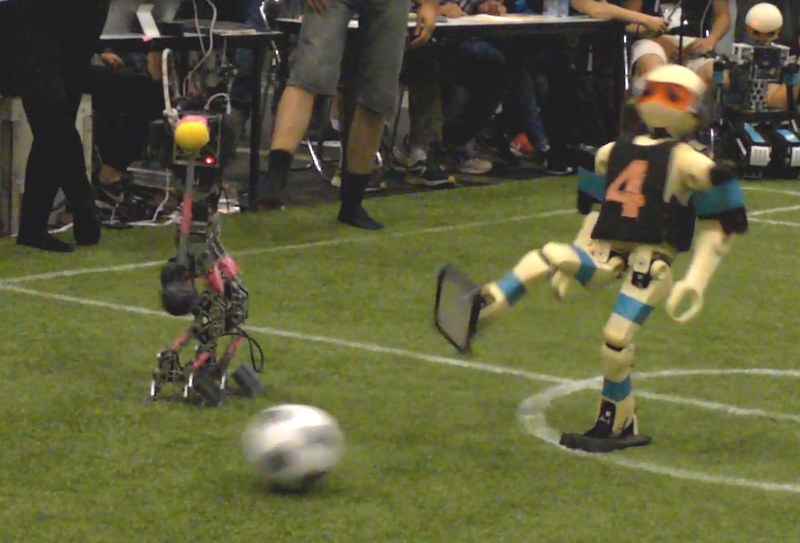 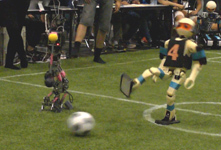 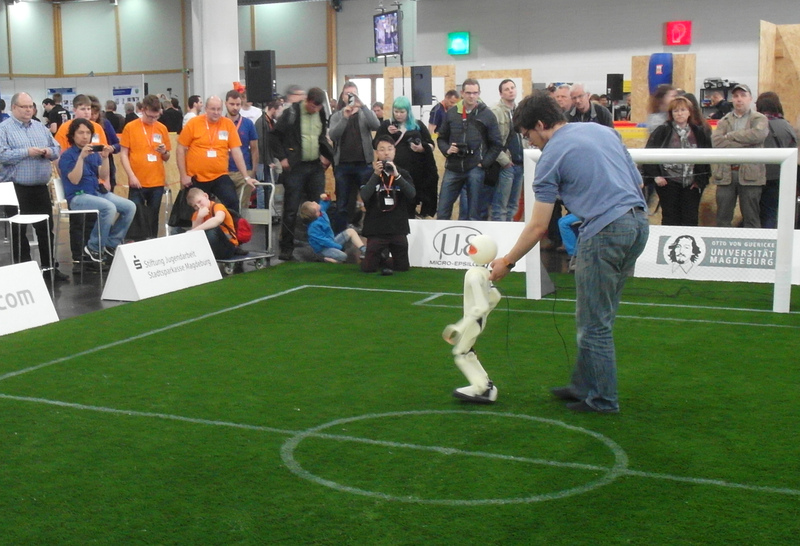 The new NimbRo-OP2 robot played very well, scoring 46:1 goals in five games. 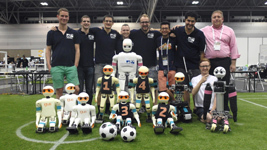 In TeenSize, the number of players was increased to 3 vs. 3. 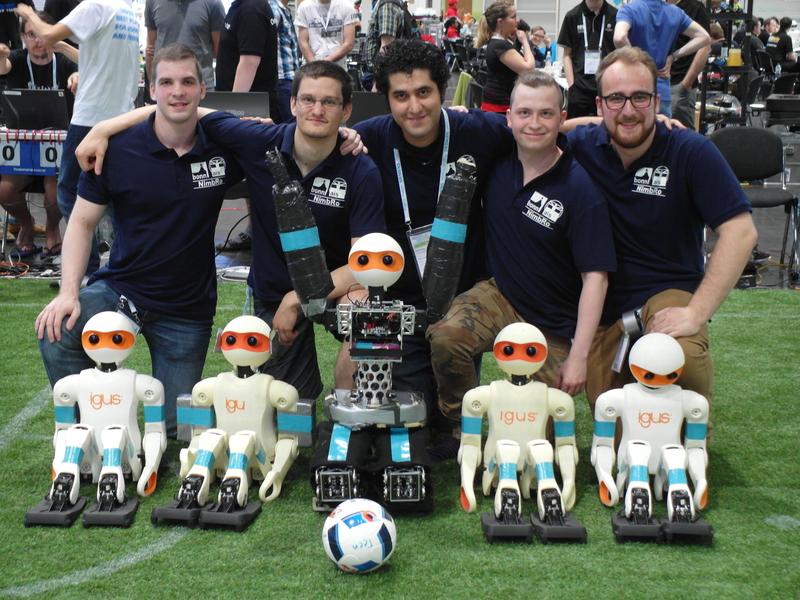 Our robots scored 27:0 goals in seven games. 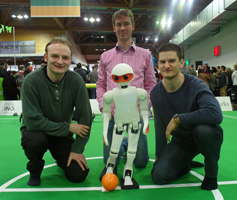 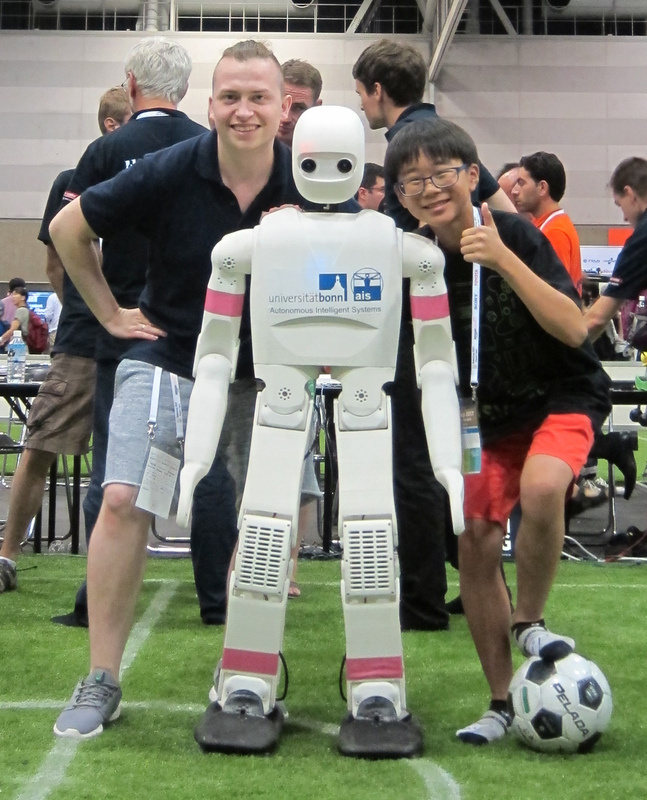 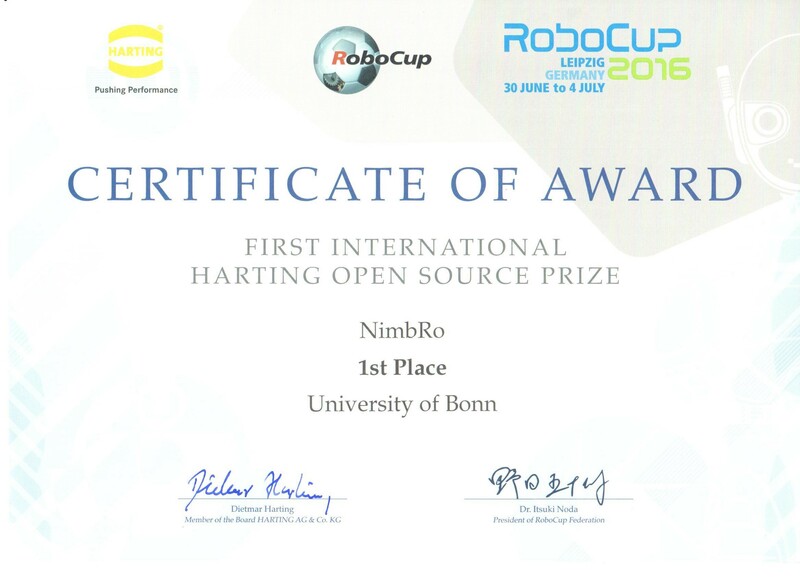 The price was awarded at RoboCup 2016 in Leipzig. 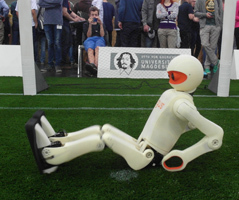 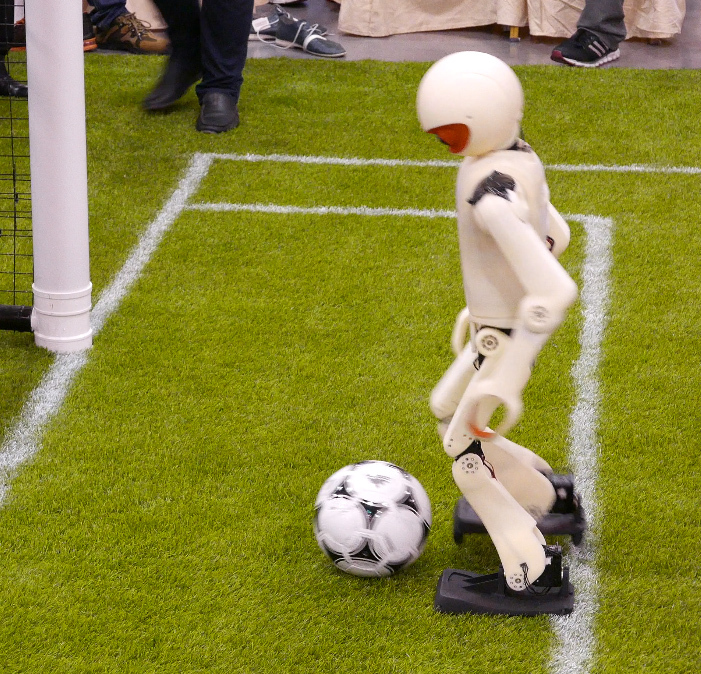 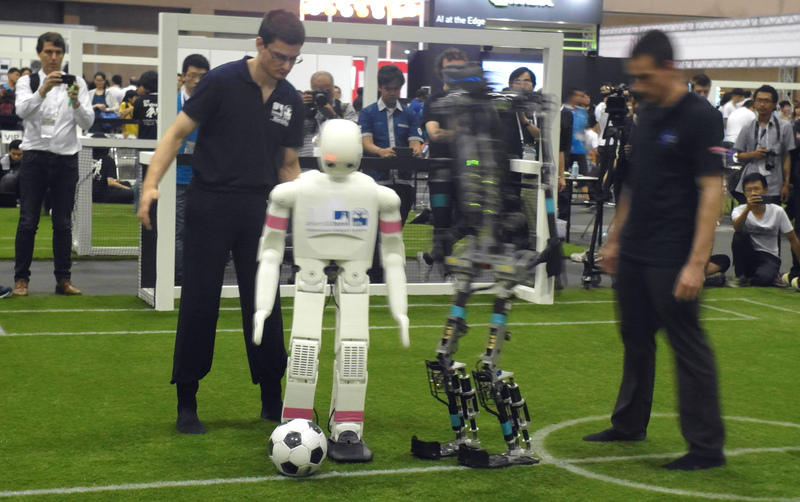 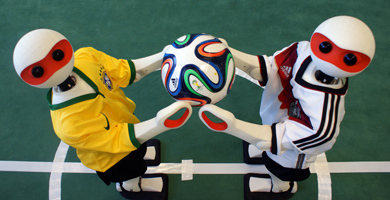 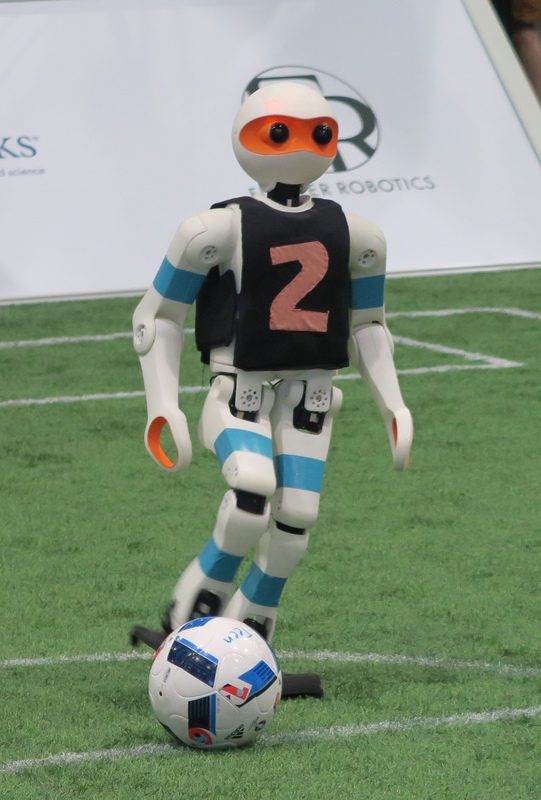 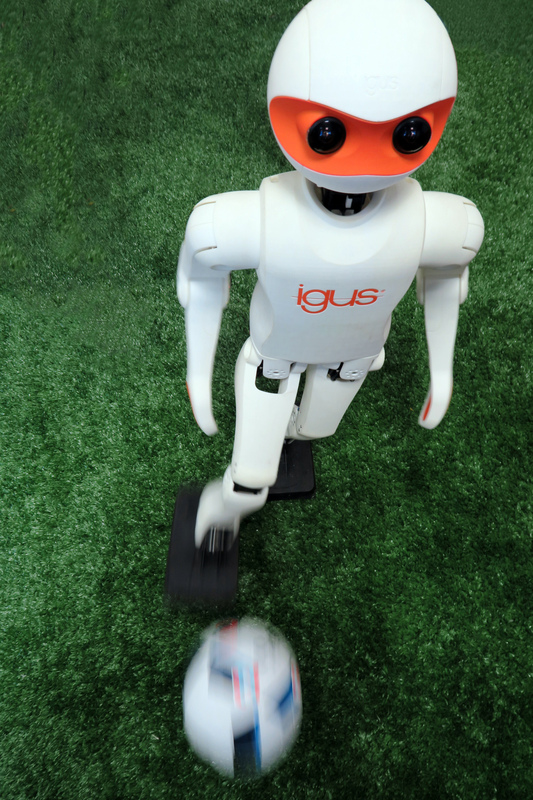 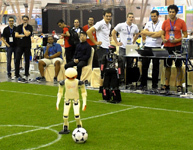 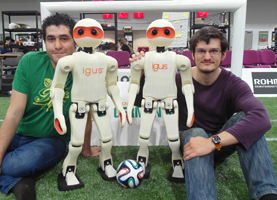 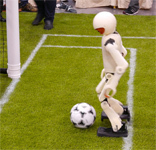 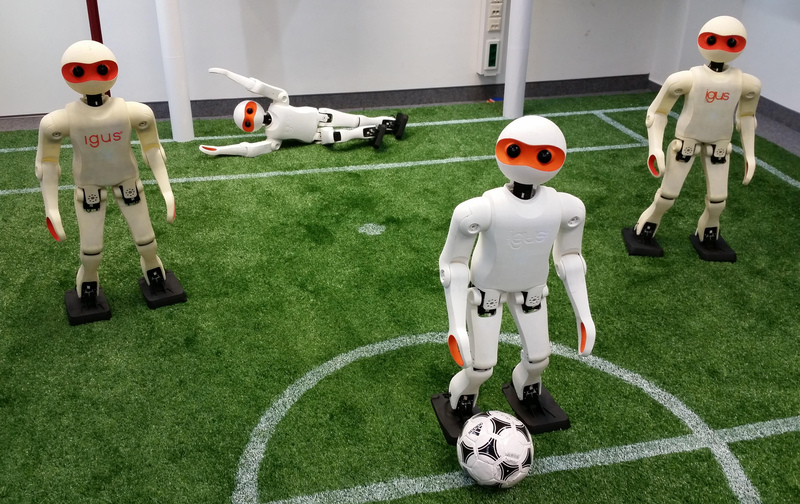 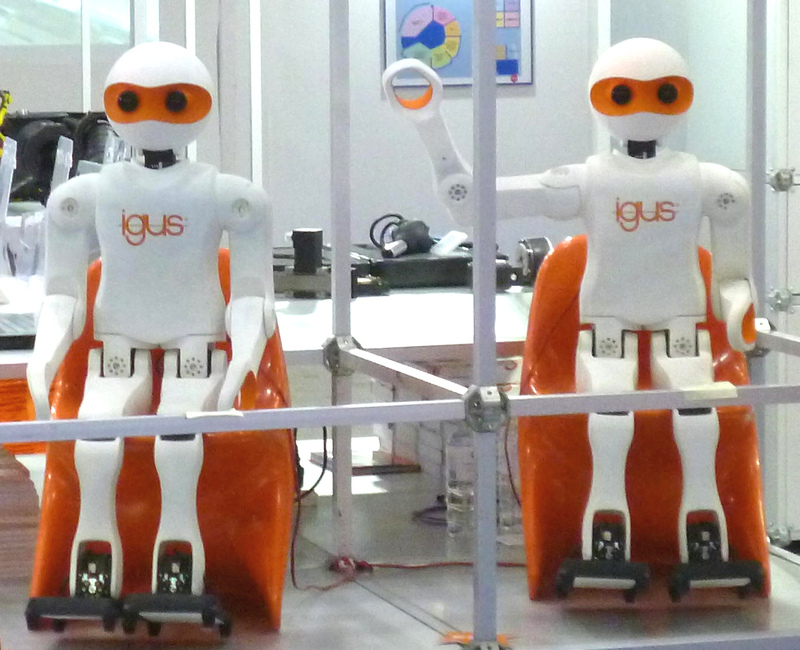 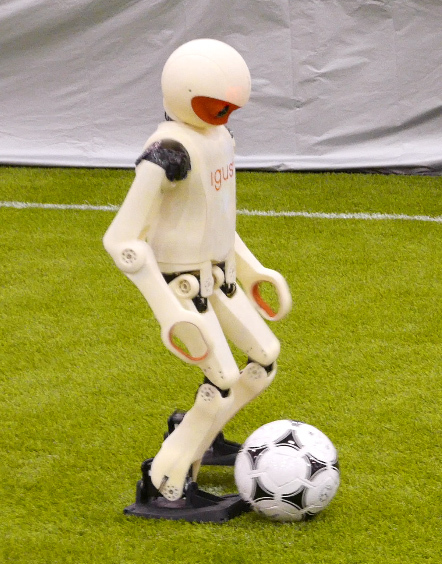 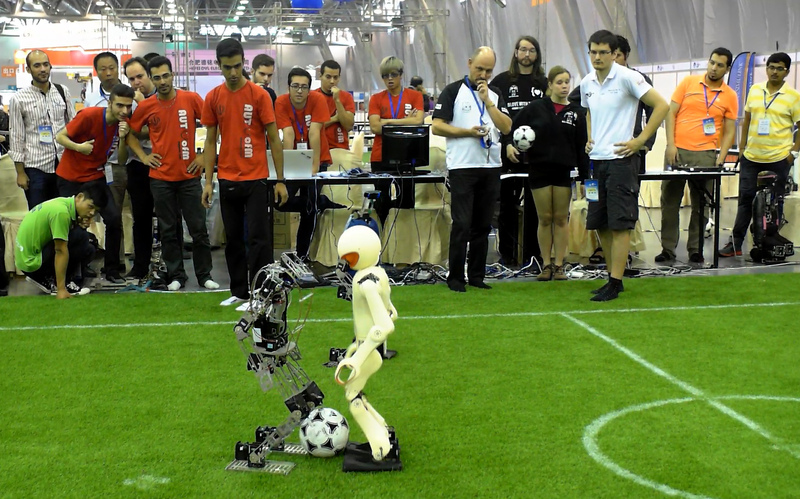 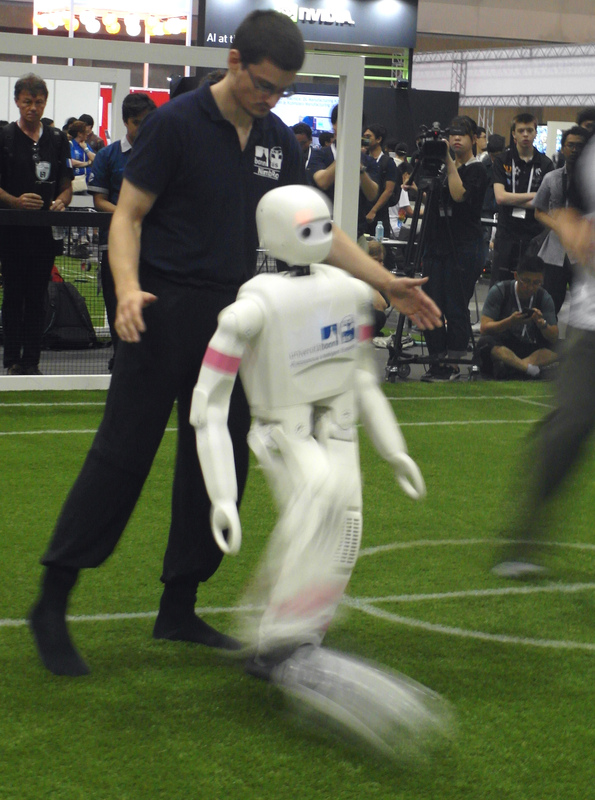 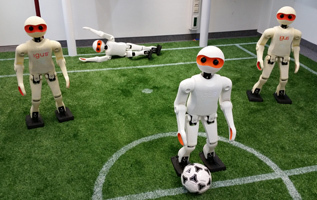 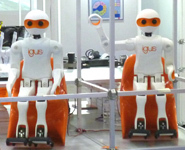 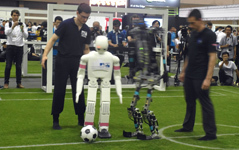 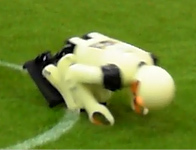 Together with the refurbished Dynaped, who was also running the ROS-based software, the igus® Humanoid Open Platform robots scored 29:0 goals in five games. 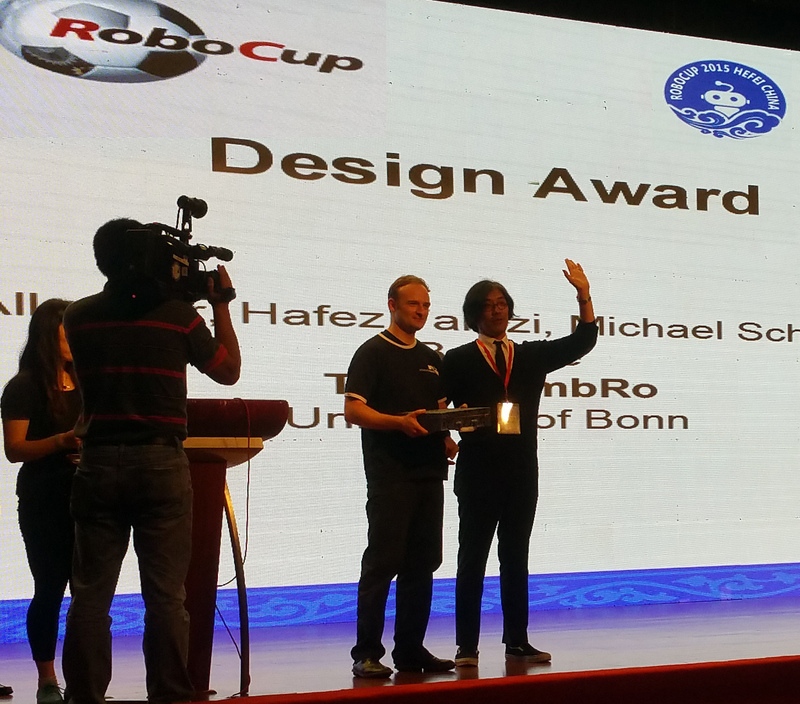 Our Team NimbRo TeenSize participated in the RoboCup 2015 Competition in Hefei, China. 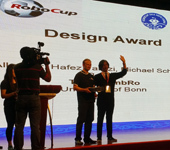 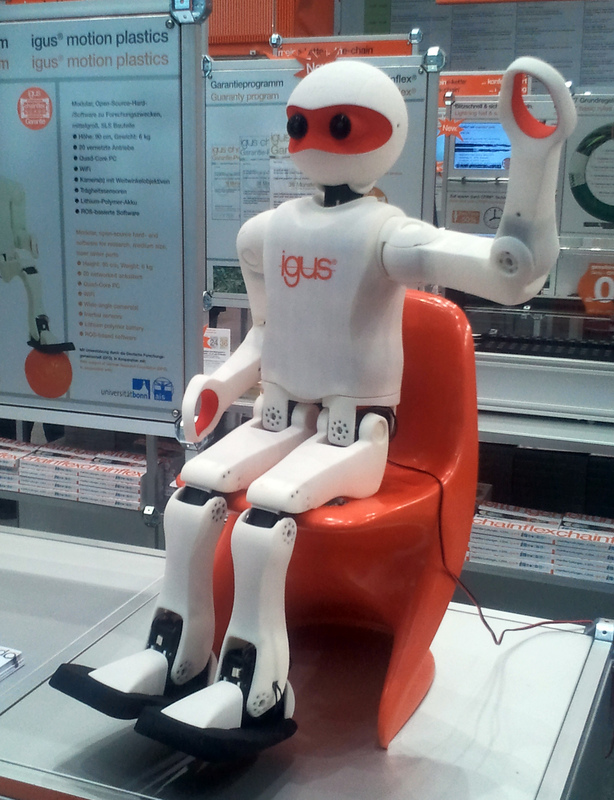 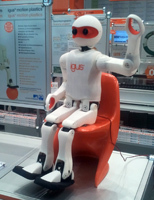 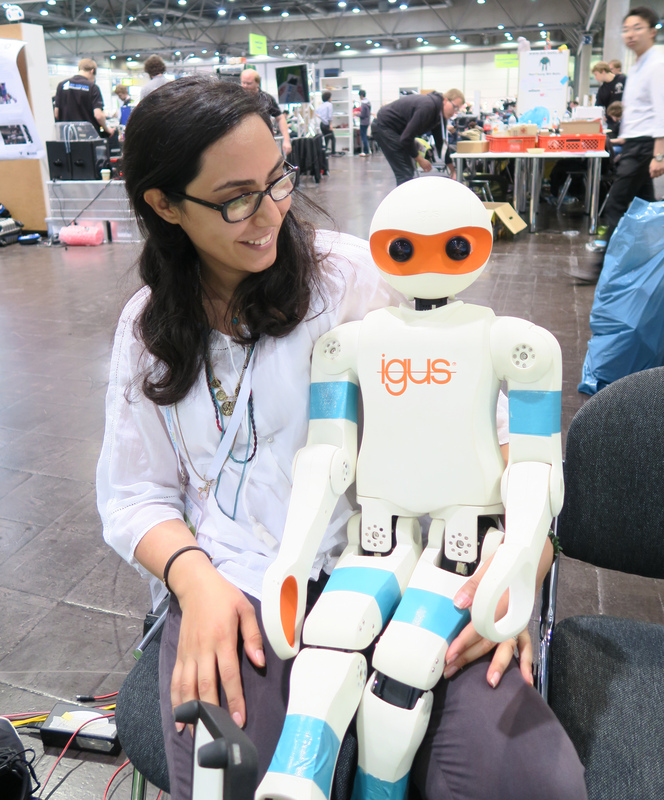 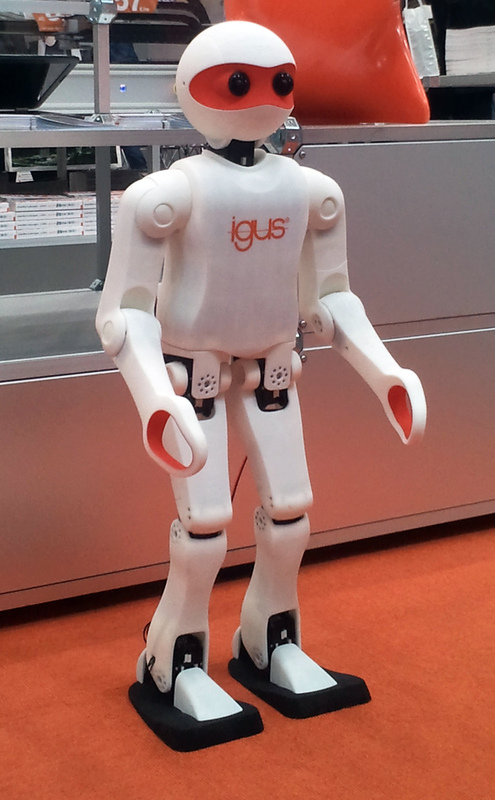 The igus® Humanoid Open Platform robot, which we develop together with igus® GmbH, won the first RoboCup Design Award. 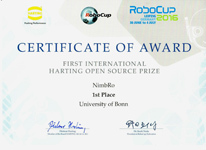 Please discuss all questions related to robot at RobotSource.org .